An eBook of Gymnastic Exercises designed to practice the 6 Essentials. There are 6 core essentials that comprise everything that we do in Dressage. Like raw ingredients that can be formulated differently to create entirely different meals, each of these 6 basic raw "ingredients" that we use in the dressage training can be combined to form every dressage movement and exercise that we ride. 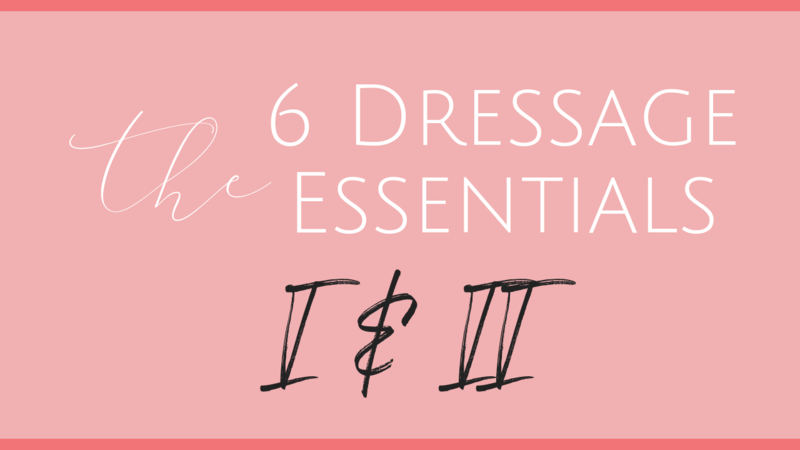 EVERY THING you do or ride in Dressage comes from the 6 essentials. Even the Olympic dressage tests don’t contain any additional elements besides these. In this cornerstone 6-week course, join us for a journey of exploration as we guide you through learning what the 6 essential ingredients are and how to integrate them into your riding. One module per week. Each module focuses on one of the 6 essentials and ties them into the previous ones. 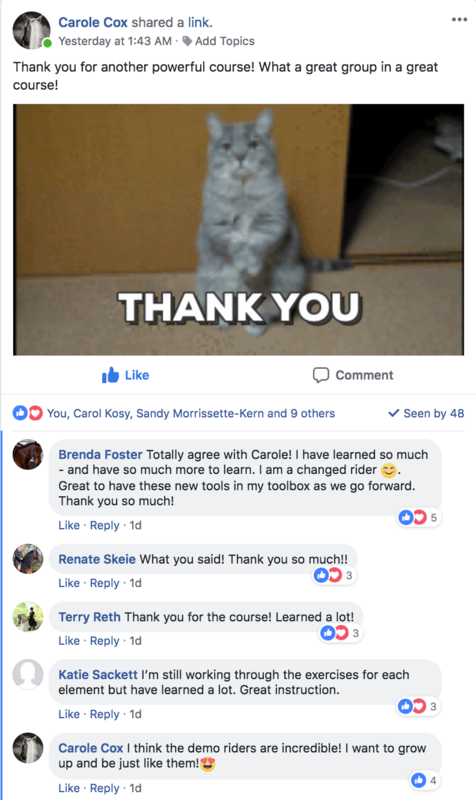 This course comes with Facebook Group support. Breaking down complex exercises into the 6 essentials and explaining how they work and how you can use the exercises to diagnose and correct the deficits in your 6 essentials. This is meant to be a companion to the 6 Dressage Essentials I course. This course begins November 13, 2018. 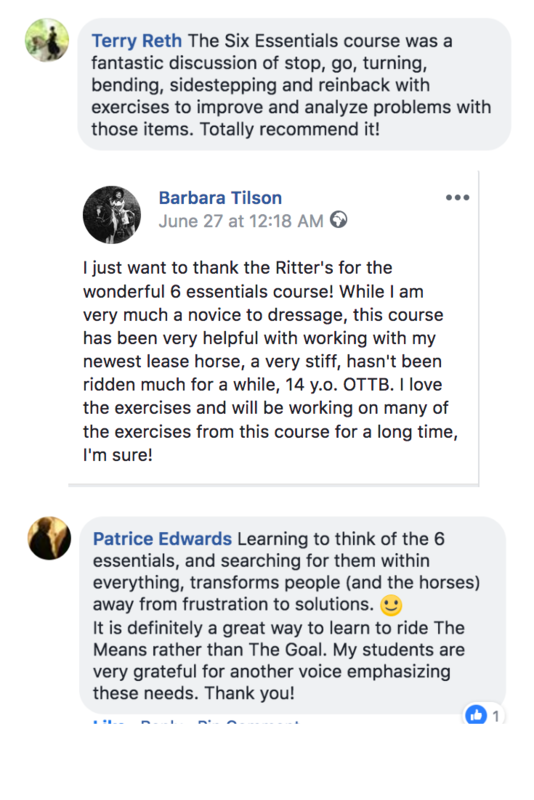 - take the principles you learned in the first course and show you how to apply them to more complex exercises so that you can strategically sculpt the exercises you ride to clearly address the specific core essentials your horse most needs to work on improving. - understand how the essentials support and correlate with each other in a real life setting so that you can strategically combine them together in such a way that they help the horse understand better what he needs to do psychologically and better support him to actually do it physically. This course is taught live with 6 weekly live training sessions, but if you (like many of our students) cannot attend all (or any) of the sessions live, don't worry. All of the sessions are recorded and you can watch (or even download) the training sessions later. Every exercise comes with a PDF which outlines the What, Why, and How of each exercise, and once we have enough rider demo videos, we will also record a commentary video of each exercise so that you can see the exercise being ridden and learn visually by seeing the horses and riders ride the exercise, see mistakes that might happen, and listen to Thomas explain what to do when these mistakes happen. 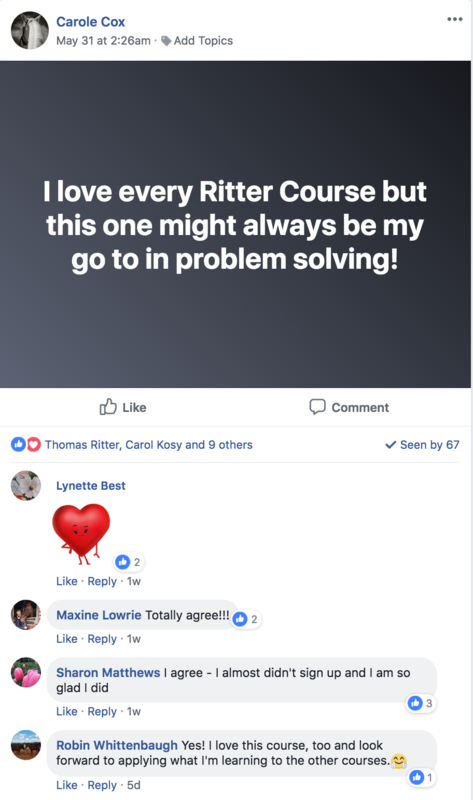 And not only that, but there is an exclusive Facebook group we have set up ONLY for this course, so you can post YOUR videos, ask YOUR questions, and get support for YOUR situation.